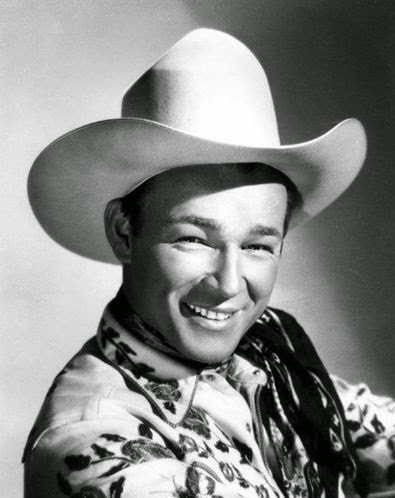 On this day in 1944, Roy Rogers was born. 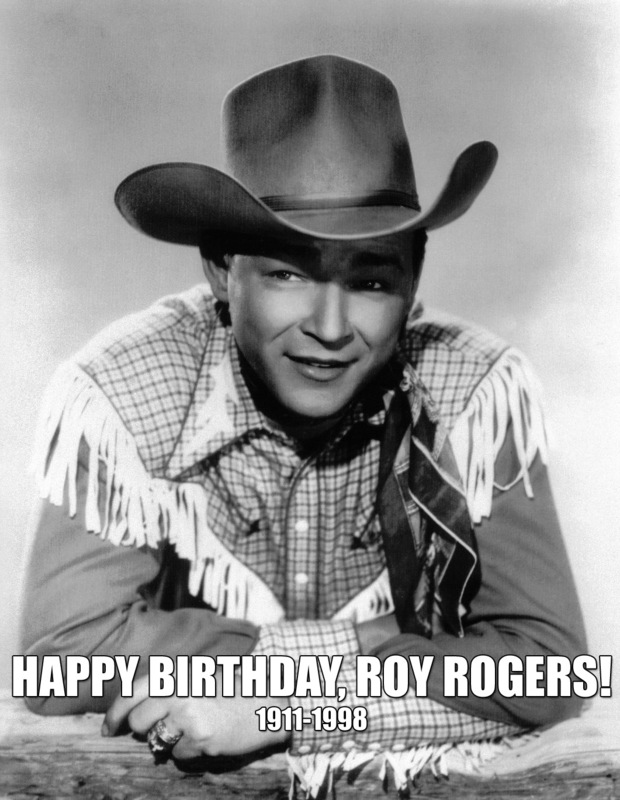 November 5: Happy Birthday, Roy Rogers! Leonard Franklin Slyke, better known by his stage name of Roy Rogers, was born on November 5th, 1911 in the Midwest city of Cincinnati, Ohio. Slyke began his career by moving to California to sing, performing in the music group the Sons of the Pioneers. After making his first film appearance in 1935, he steadily worked in western films. While working on a film with Gene Autry in 1938, Slyke was rechristened Roy Rogers after Autry walked out on his contract. Roy came from a shortening of Leroy and Rogers came from the last name of Will Rogers, an American cowboy and humorist. His radio show, The Roy Rogers Show, ran for 9 years before moving to TV from 1951-1957 and starred his wife, Dale Evans. Over the years it changed its format. Originally it appeared as western music and variety show. There was always an element of action in the programs, and usually the episodes are broken up with songs, performed by The Sons of the Pioneers. Rogers, “King of the Cowboys,” passed away on July 6th, 1998.